When I lived in England, I so looked forward to the carnivals and fetes that would come to the city where I lived every Summer! There was so much fun to be had, with the rides, food, music and festivities! Now I enjoy those same carnivals and fetes here in Seattle where I live each Summer. 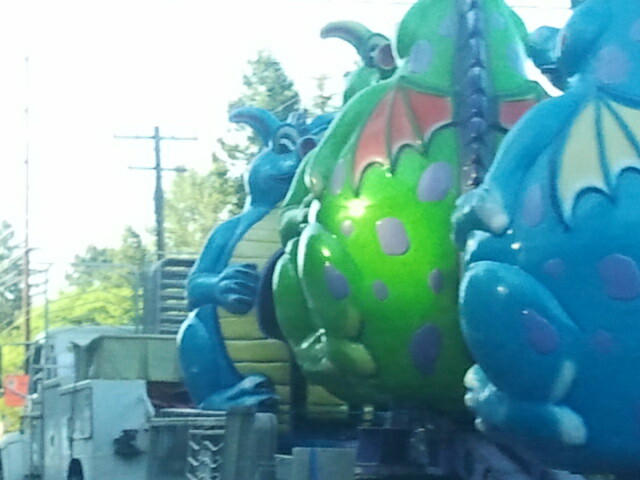 They are also filled with rides, like the spinning dragons, Scrambler and bumper cars! The food is wonderful and the music is enchanting. Ah, I live Summer and festivals! Here are some of my symbols of Summer: Golf is one of my favorite sports, especially in the Summer. When the sun is high and the sky is clear, the air is warm, there is nothing finer that being out in nature, walking among the trees, playing golf! The swallows dip and dive all around you, wanting to join in the game. The air is clear and fresh. And along with a round of golf, it is always fun to have a cold drink, whether it be water, soda, or a good beer! 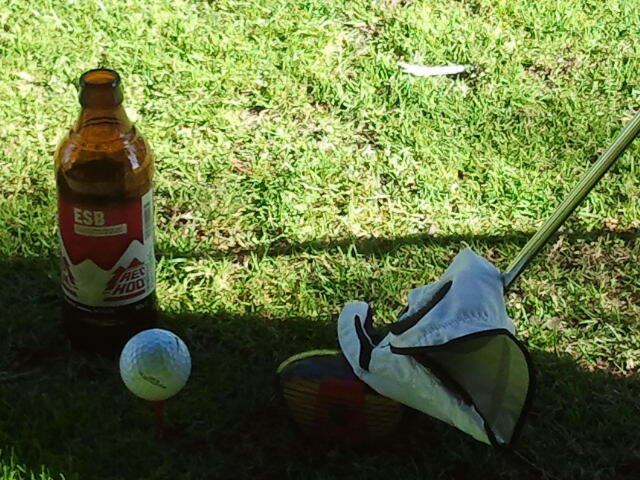 Beer seems to taste so much better when one drinks it while playing golf. Plus it relaxes me and reminds me not to take myself too seriously. Just enjoy the game, the weather and the summer! I am getting fit for a tailor-made suit! It has been a long time since I had a suit tailor-made for me, but it is fun to do it again. I have several weddings and special occasions coming up so I decided it was time to get some new, custom-made suits. This was also for a good cause since we donated two of my older suits to charity. I am proud, though, that I can still fit into my custom-made suit from high school! It is nice to be pampered once in a while, to have a tailor custom fit you for a suit that you like. Everybody likes to be spoiled once in a while and be made to feel special. Of course, the next one to get a custom-made tailored suit will be my son, as he enters high school this year! He may even fit into my suits soon! 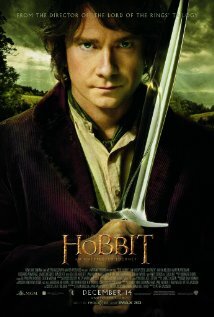 I just finished reading “The Hobbit” to my son, then we watched the film on demand! I have been reading to my son ever since he was in the womb! We read practically every night at bed time. The last book we read was “The Hobbit,” which my brother read to me when I was my son’s age. It was a great experience for me when I was young and got me interested in reading all of Tolkien’s work, eventually leading me to write and publish my own books! After we finished reading “The Hobbit,” we then watched the new movie on demand. It was pretty good, although there were lots of changes that probably have Tolkien rolling in his grave! In the end, it was a great experience. We will probably read “The Lord of the Rings” next. 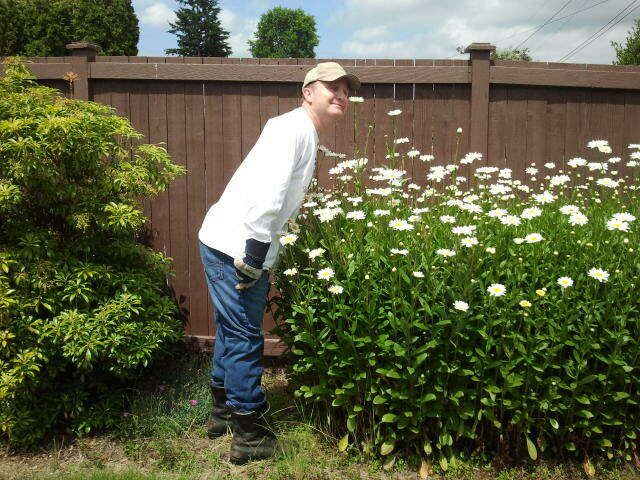 My giant daisies are over five feet tall now! My giant daisies are over five feet tall now! They are still growing! This year they might even grow higher than my fence! It is such a nice reward to have the plants that I nurture and care for all year finally bloom into something beautiful, fragrant and even of an unusual character such as very tall! My blueberries have also begun to ripen and every morning we can have fresh blueberries with breakfast! And these aren’t the usual, average blueberries. These blueberries are the size of cherries and they are so sweet! Ah summer, enjoy! My new clothing line has new items!